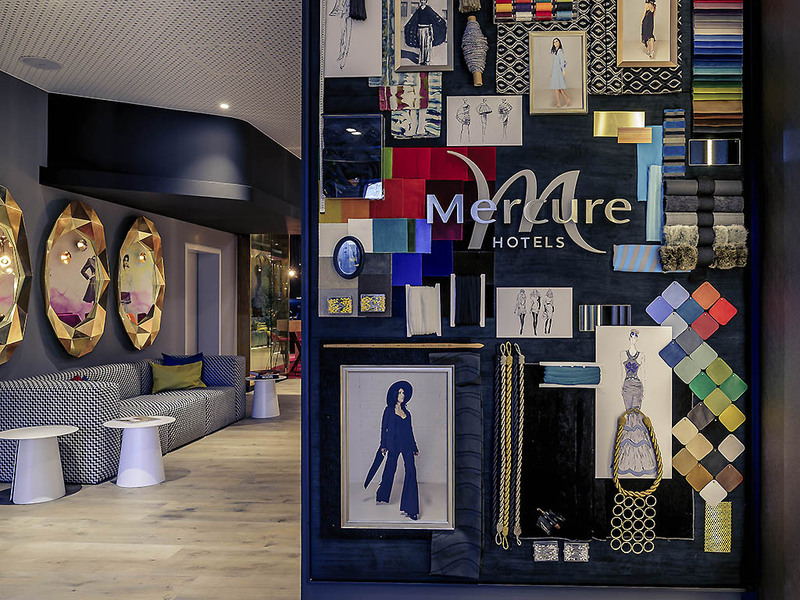 Berlin loves fashion - and this is also true of the Mercure Hotel Berlin Wittenbergplatz. The fashion theme runs throughout our unique hotel: Enjoy trendy rooms and the creative design of the extraordinary lobby. The neighboring KaDeWe department store and adjacent Ku'damm offer a superior shopping experience. Exclusive boutiques from well-known and up-and-coming designers can also be found nearby. The City West area around Wittenbergplatz, Bahnhof Zoo railway station and Kurfürstendamm has stood for sophisticated flair for generations. Spectacular building projects and increasingly glamorous shops are proof that the area is truly blossoming. RELAX - Food, Drinks & You. It's all in the name: Sit, drink, eat and work just the way you like. After all, relaxation can yield fantastic results - inspiration for great ideas, great decisions and great conversation. Great location, great staff, great ameneties, at a reasonable price. It was wonderful. Really appreciated the friendly staff and the extremely convenient hotel location. Kindly and satisfied. Good service and god staff for the roomservice. attractively signed hotel in a great location. The room , the staff, the food and service were all really good. Everything was great. The room was big, tall and nicely decorated (although we would prefer an abstract painting instead of a face as a decoration), with comfortable beds and very good sound insulation. The staff was really friendly and helpful and attended to all our needs. One thing that could be improved a little bit is the variety for the breakfast. It's fine for a couple of days stay but for longer periods, it gets a bit boring. It was really good. The staff members specially Marius made my stay perfect. He was on charge of every detail, and prepared all for our arrival. Regarding the room, I missed wardrobes, and facilites such a toothbrush, conditioner or complementary still water. However, the stay was perfect and I will repeat next etx time. Relaxed, friendly, safe and quiet. Perfect spot for business or family. Next to U-Bahn and the main shopping strip in Berlin. Highly recommended. Very good location, close to U-bahn. Rooms modern, clean and comfortable, peaceful. Good service. We didn't use restaurant services, so I can't tell about it. friendly, fast check-in, room size good, close to public transport with a lot of good restaurants nearby. Check in was really simple, and the stay was lovely and comfortable. Staff are friendly and helpful!